For Questions Call/Text Dr. Jimenez Personally @ 915-540-0900 or Contact Us @ 915-850-0900. 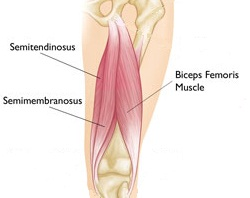 The hamstring muscles are the set of tendons found behind the thigh, lengthening from the bottom of the pelvis to the posterior part of the shin bone. This large group of muscles is fundamental towards the body's role in extending the hip joints and bending the knee joints. The hamstring functions during multiple sporting activities and everyday activities but, when a person experiences a pulled hamstring muscle, its symptoms can affect the body’s movements. Hamstring injuries can result when a person begins a physical activity or sport without the appropriate warm-up, from overuse, or due to the muscles being stretched beyond the individuals range of motion. Occasionally, weak muscles may also lead to this problem. There are various types of hamstring injuries and depending on the severity, symptoms can be categorized into three different grades, each contrasting from the other. In grade I, minor muscle fibers are afflicted or a tear is considered microscopic where the muscle was overstretched from its natural limitation. The mild injury presents tightness and mild pain and discomfort, usually minimally limiting physical activity. In grade II, the affliction from the injury is moderate and moderate pain and discomfort become present after the damage. During this grade, pain is experienced upon contact with the affected area and moderate swelling and bruising follows. 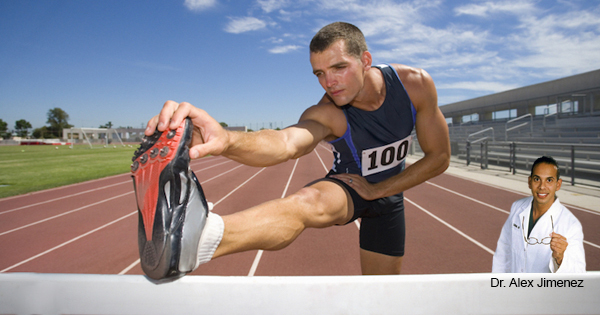 An athlete’s or an individual’s mobility during activities such as running and/or jumping can be moderately limited. And last, a grade III hamstring injury signifies that the fibers or tendons of the muscle are considerably or completely torn, causing severe pain and discomfort while walking with significant swelling, bruising, and in some cases, muscle spasms. Mobility can be enormously affected by a grade III hamstring injury and special measurements for treatment might be required.